So let's be honest we are all creatures of habit and this also means buying the same makeup and skincare products over and over again. Once we find something that we like and works for us, then you can guarantee you will find it in our 'baskets' numerous times. Although for everyone these products vary. For example something that I always repurchase might be a product that another person has tried and simply didn't like it and that's okay. 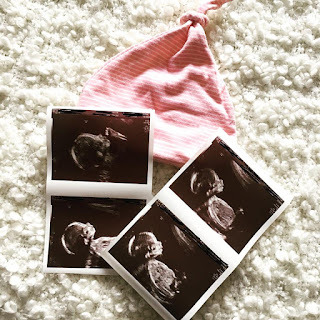 But for the sake of this blog post I thought I would share with you all the products that I always, always have! These are in no particular order and I do apologise about some of the packaging, these products get used a lot! 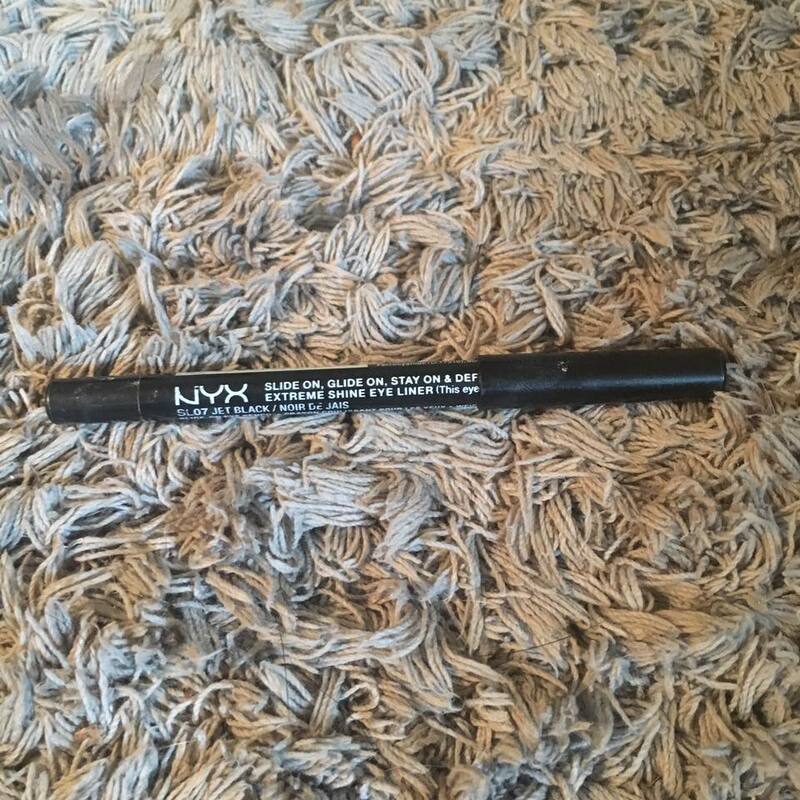 The first would have to be NYX's 'Matte liquid liner' in Black - It took me so long to find a decent eyeliner that would last all day whilst im at work and that wouldn't smudge or run. 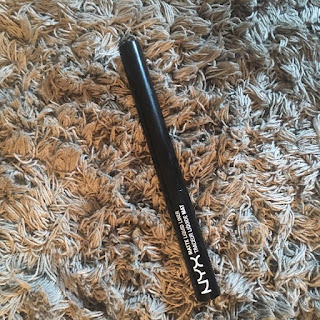 This eyeliner is perfect the only issue with it is that at first it took me a while to get use to the tiny brush as it isn't a 'pen' applicator, but once I had mastered it it's a wonderful product! Next would have to be NYX's 'Jet Black eye crayon' for the waterline. 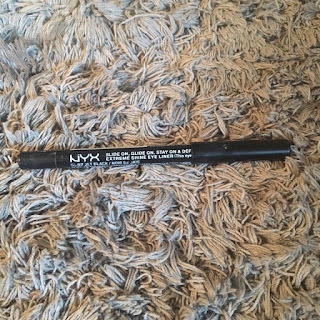 Now once again I had the same issue with eye pencils as I did with eyeliner, I couldn't find one that wouldn't smudge until I came across NYX. They also stock these in a wide range of colours! 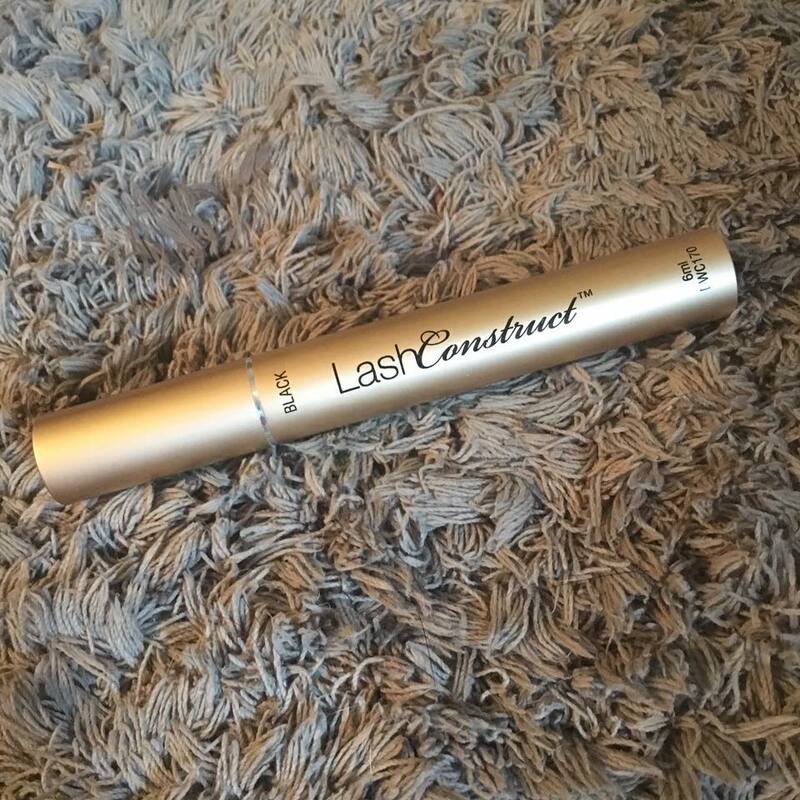 For Mascara, my product I always repurchase has to be the 'Lash construct' by Dreamweave & Co. This company isn't one that many people have heard of but it should be! 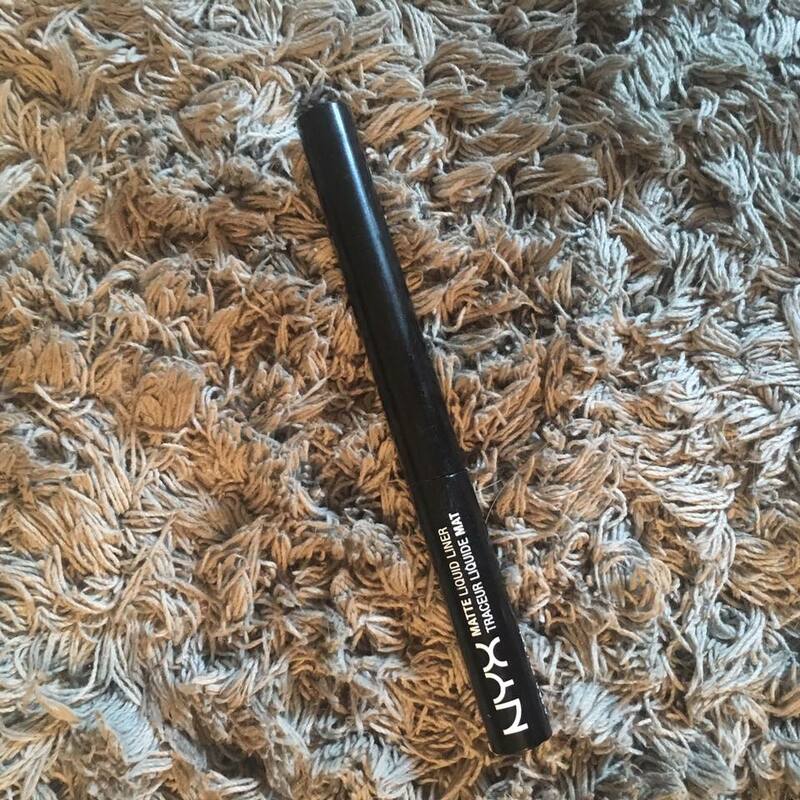 This mascara is incredible, I have been using it for almost a year now and I am on my third one. Not only does it make your lashes look amazingly long whilst you have the mascara on but it also helps nourish your lashes with the serum that is in the product. 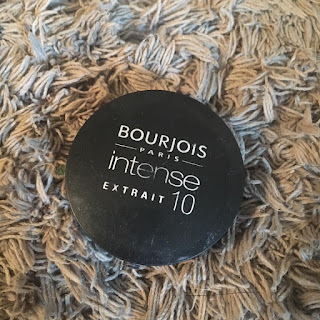 For my brows I always vary the products I am using but I seem to always come back to Bourjois' 'Intense extrait 10' shadow, now I know this isn't made for brows but it does the job! 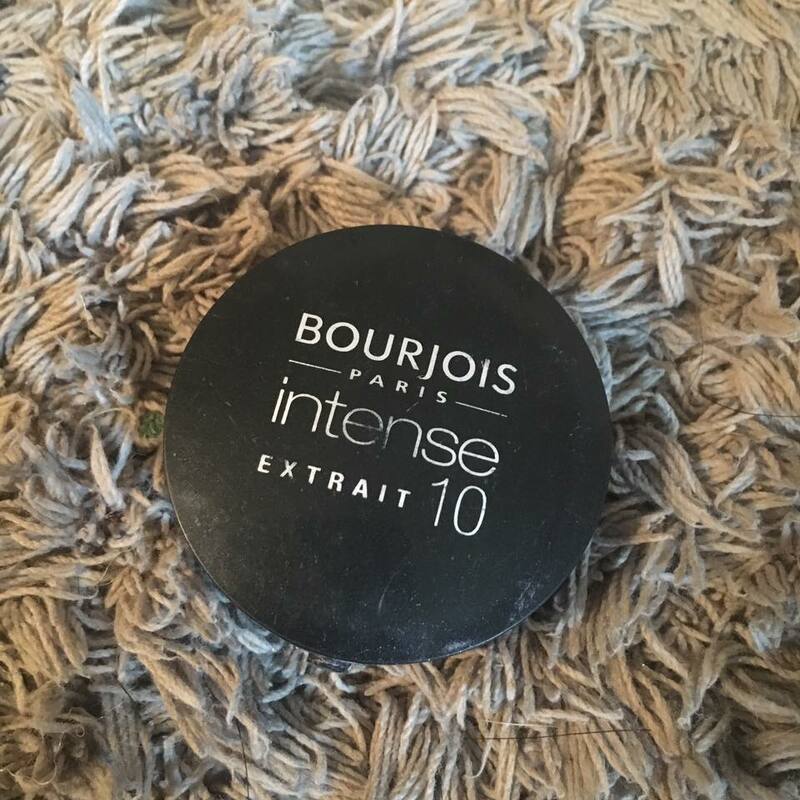 The product stays on all day and allows me to achieve natural looking brows. Also it doubles as a great eyeshadow! win win. 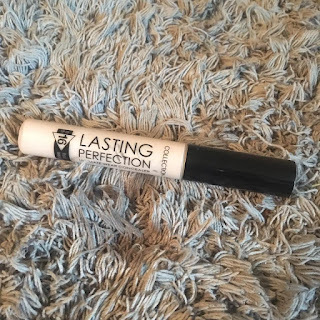 For concealer once again I do vary my products that I use although I do always end up using Collection' 'Lasting Perfection concealer in the shade 'Fair 1'. 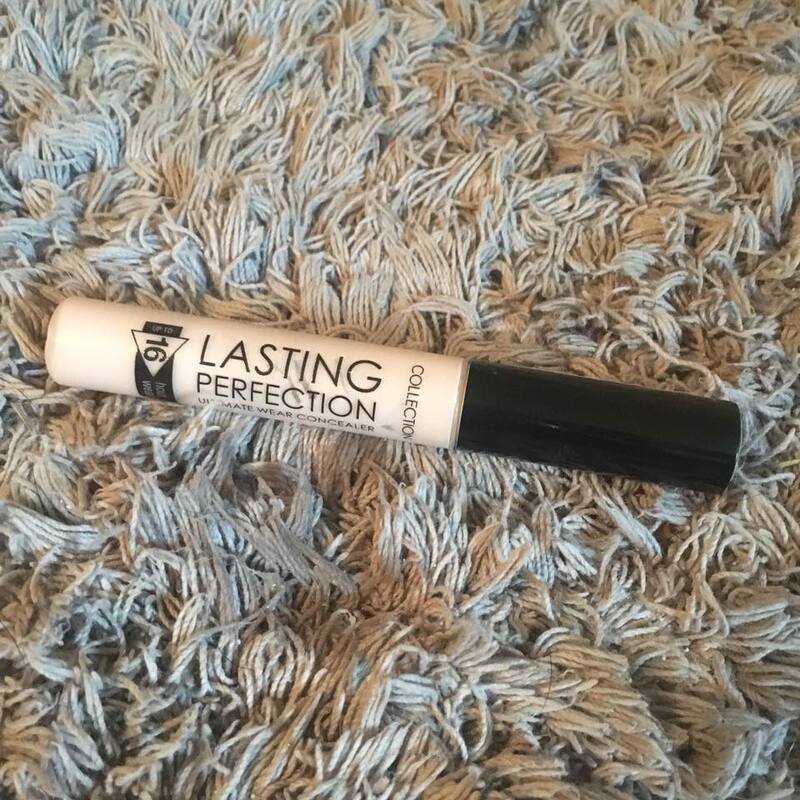 I use this concealer for everything and it never fails me which is why it's something I always repurchase! I also love a good eyeshadow palette. 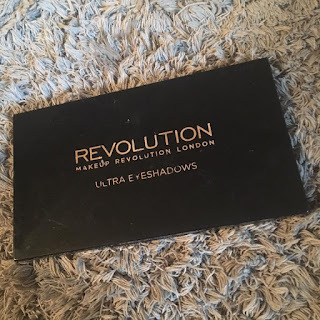 Recently I have been seeing a lot of posts online about Revolution's palettes so I figured I would give one a go and ohemgee I was not disappointed. They are incredible, so pigmented and such a wonderful range of tones and colours. If you're just getting into makeup or you're a full blown MUA you have to have some of these in your collection. Now for any of you who follow me on Instagram will know that I am a massive highlight fan! You simply can never have enough of the stuff. So this for me was a hard decision as most of my makeup collection are highlighters. 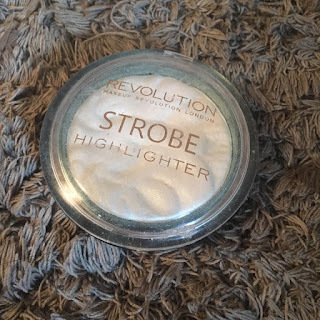 But the winner of the highlighter that always gets restocked goes to... *drumroll please* Revolutions' 'Strobe Highlighter' in the shade 'Flash'. I simply have no words for how blinding this product is, its perfect for everyday wear and if you're off to a festival or red carpet event. So being a Beauty Therapist skincare is something very important to myself as I recommend products to my clients daily so I have to have an honest opinion on them which means I use a lot of different products and ranges. 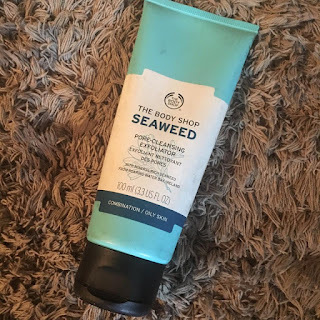 I figured as this post is mainly consisting of 'drugstore' products I would include my favourite skincare products that you can pick up from your local superdrug or boots. Now im sure none of you will be surprised when I say that Garnier's 'Micellar water' wins for the cleansers as this has been one of my favourite products for almost two years now. I simply can't have enough of it. It removes waterproof makeup (which you need for NYX) and leaves your skin feeling hydrated and clean, which is everything a cleanser should be. 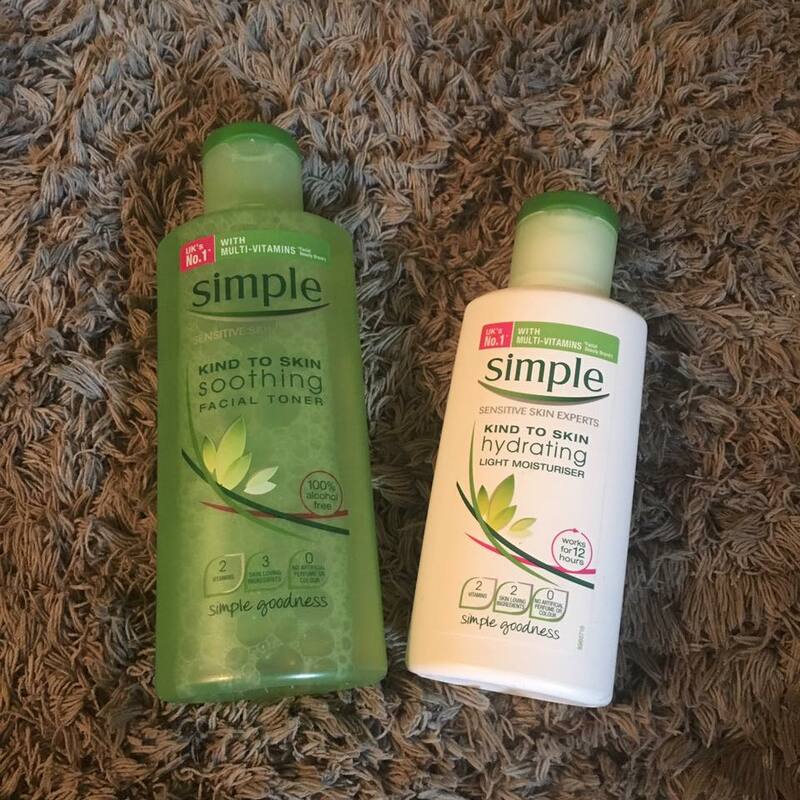 Next I always repurchase Simple's 'Kind to skin hydrating moisturiser' and 'Kind to skin soothing facial toner'. For those of you who dont have a skincare routine I would highly suggest trying these products out as they are affordable and for sensitive skin so you can't really go wrong. I will be doing a whole blog post soon about skincare so keep your eyes peeled. Another important aspect of skincare is a good exfoliator. The amount of times per week to use an exfoliator varies depending on your own skin type and other factors (will be in a blog post soon). Personally I exfoliate about 2/3 times a week as I have dry/oily skin and exfoliating balances it out. 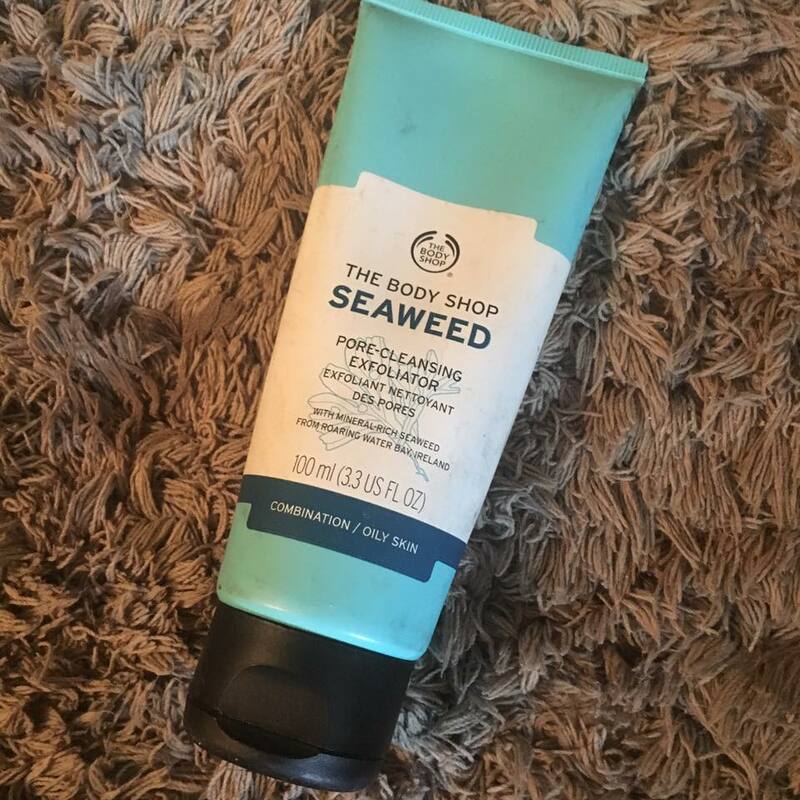 My must-have exfoliator is The Body Shop 'Seaweed pore cleansing exfoliator' not only does this product do the job but it always smells incredible. 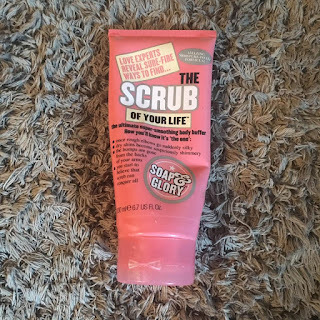 Talking about scrub I always repurchase Soap & Glory's 'The scrub of your life' I only found this product at christmas when I received it as a gift and since then it has stayed in my shower. Body scrubs are important to remove any dead skin you may have and also help reduce any ingrown hairs if you shave instead of wax your legs. 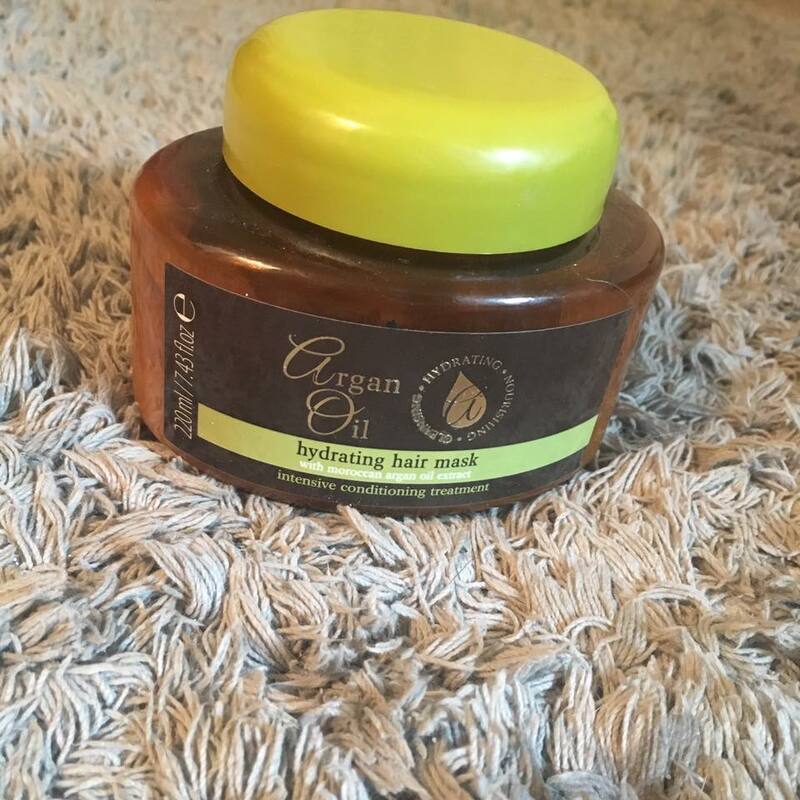 Finally a hair product that I always have in the cupboard is Argan Oil 'hydrating hair mask'. 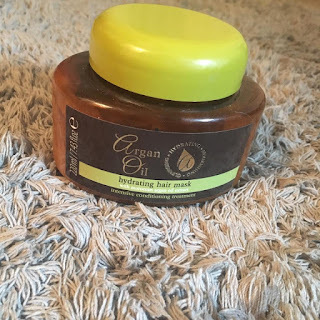 I am someone that has my hair regularly highlighted meaning it sometimes feels dry, this hair mask rebalances the oils in my hair and makes it feel a lot better after just one use and with it being argan oil based it smells lovely, which is always a plus side! So that's my Products that I always repurchase... I hope you have enjoyed this post and let me know if you feel inspired to try any of these products yourself.